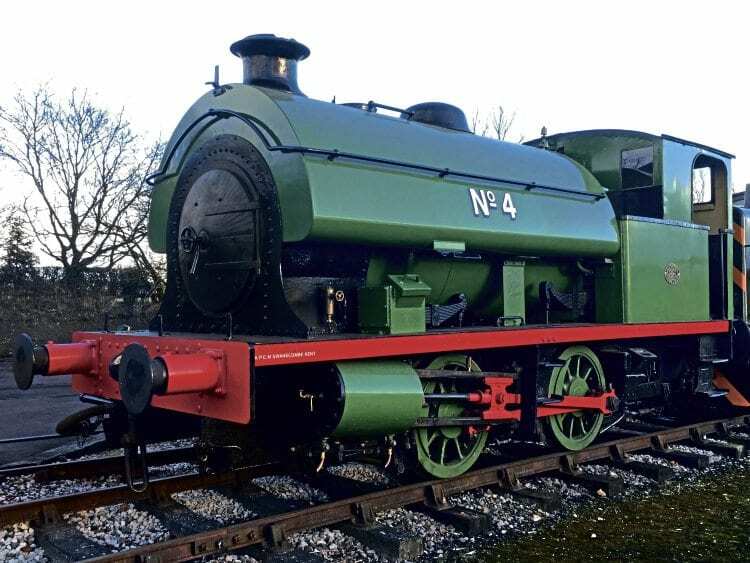 BUCKINGHAMSHIRE Railway Centre welcomed a new addition to its steam fleet on January 5 with the arrival of former Associated Portland Cement Manufacturers (APCM) Hawthorn Leslie 0-4-0ST No. 4 from Barrow Hill Roundhouse. The 1928-built locomotive (W/No. 3718), one of a batch of five built for use at APCM’s Swanscombe Works in Kent, has come to Quainton Road on an open-ended loan, during which its near-complete overhaul will be finished. The loco is virtually in a steamable condition, but still requires an in-the-frames steam test, insurance exams, and running-in trials before it can enter service. Vacuum brake equipment has been fitted as part of the restoration, and steam-heating apparatus may follow in due course. The loco spent its entire career at Swanscombe until displaced by diesels in 1971. The five original Hawthorns were supplemented by a sixth identical machine from the same builder in 1935, with a seventh slightly larger engine coming from Robert Stephenson & Hawthorns in 1948.